Theft by unlawful taking or disposition is basically a catchall offense that is filed against those accused of stealing. It is probably the most common form of theft charge that you can face in Jackson, Manchester, Berkeley, Lacey, Toms River or another location in Ocean County. If you were charged with theft by unlawful taking, your charge will be heard in municipal court if it involves less than $200 (i.e. disorderly persons offense) and at the Ocean County Superior Court involves if the property or money involved has a value of $200 or more (i.e. second degree, third degree or fourth degree crime). A skilled criminal lawyer is going to be your best tool for avoiding a record and associated penalties irrespective of which venue your case will be heard. Law Offices of Jonathan F. Marshall can offer representation from a highly qualified team of attorneys who have a history success defending clients throughout Ocean County. 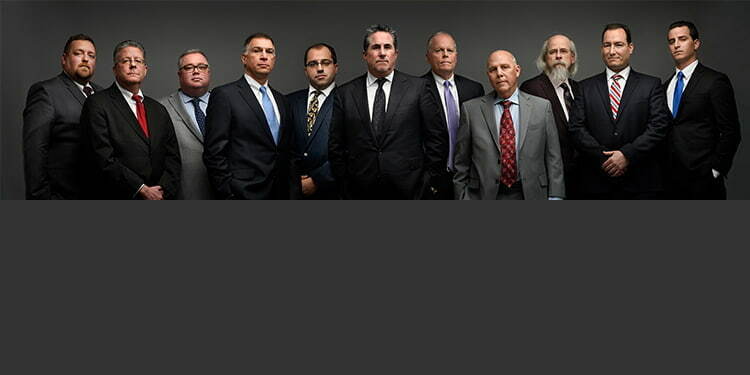 Our staff includes eight highly knowledge defense lawyers and former prosecutors that possess over 100 years of combined practice experience. To speak to an attorney with the know how required to provide you with every opportunity to escape this violation, contact our Toms River Office at (732) 286-6500. How Does Someone Commit Theft by Unlawful Taking? There are two types of property that can be “unlawfully taken” in violation N.J.S.A. 2C:20-3, namely, movable and immovable property. The following is a discussion of how the offense of theft by unlawful taking is committed depending on the type of property involved. For the theft of movable property, the State must prove five material elements. First, it must be proven that it is movable property. Second, the movable property must belong to another. Third, it must be proven that the defendant took, disposed of or exercised control over the property. Fourth, it must be an unlawful “taking”. Lastly, the property must have been taken with a purpose to deprive the other person who had an interest in the property. Alternatively, the State must prove four material elements in the unlawful theft of immovable property. First, the state must prove an unlawful transfer. Second, there must be a transfer of an interest in immovable property. Third, it must be the immovable property of another. Fourth, the defendant must have acted with the purpose of benefiting himself or another person who was not entitled to that interest. Is Theft by Unlawful Taking a Felony? A charge for theft by unlawful taking can come in the form of a misdemeanor and as a felony depending on the value of the property stolen. If the value of the property involved exceeds $75,000.00, theft in this form is a second degree crime. Theft of property with a value of at least $500 but less then $75,000 results in a third degree crime. Stealing money or property with a value of at least $200 but less than $500 is a fourth degree crime under 2C:20-3. A second, third or fourth degree crime is considered a felony. A theft of items having a value of less than $200 is a disorderly persons offense, the equivalent to a misdemeanor. Will I Go to Jail for Theft by Unlawful Taking or Disposition? A term of imprisonment is a real concern when facing theft by unlawful taking or disposition. The length and likelihood of imprisonment varies based on the degree of the offense. If you are convicted of second degree theft by unlawful taking, you face five (5) to ten (10) years in jail. A conviction for third degree theft by unlawful taking results in imprisonment for up to (5) years. Fourth degree theft by unlawful taking carries up to eighteen (18) months in jail. A disorderly persons offense for theft under N.J.S.A. 2C:20-3 can result in up to six (6) months in the county jail. If you are facing an indictable offense for theft by unlawful taking or disposition (e.g. second degree crime, third degree crime or fourth degree crime), your charge will be referred to the county courthouse in Toms River. This is whether you were arrested in Lakewood, Brick, Stafford, Little Egg Harbor, Plumsted or elsewhere since this forum is the only one to adjudicate a felony theft offense in Ocean County. The attorneys that make up the defense team at Law Offices of Jonathan F. Marshall have decades of experience litigating violations at the Superior Court. To speak to a lawyer with the skill to help you successfully navigate the court system, call (732) 286-6500. Attorneys are available 24/7 for free consultations.